Very pretty card! Thank you for sharing at Ravenwould! Linda, nicely done! If I lived in the deep freeze like you then I'd want to surround myself with signs of spring to come and this beautiful, cheery card does the job. Prismacolor pencils totally rock! I use them when I hand-stamp cards or to fill in my doodle artwork. Thanks for sharing this Friday, keep warm, and have a good weekend! 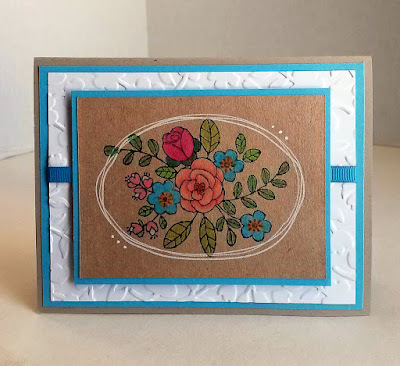 I used to love making cards and still have some of my old Stampin' Up sets. It's been a while so I'm sure they have some fabulous new stuff and techniques. The card is lovely. Thanks for sharing at #HomeMattersParty. 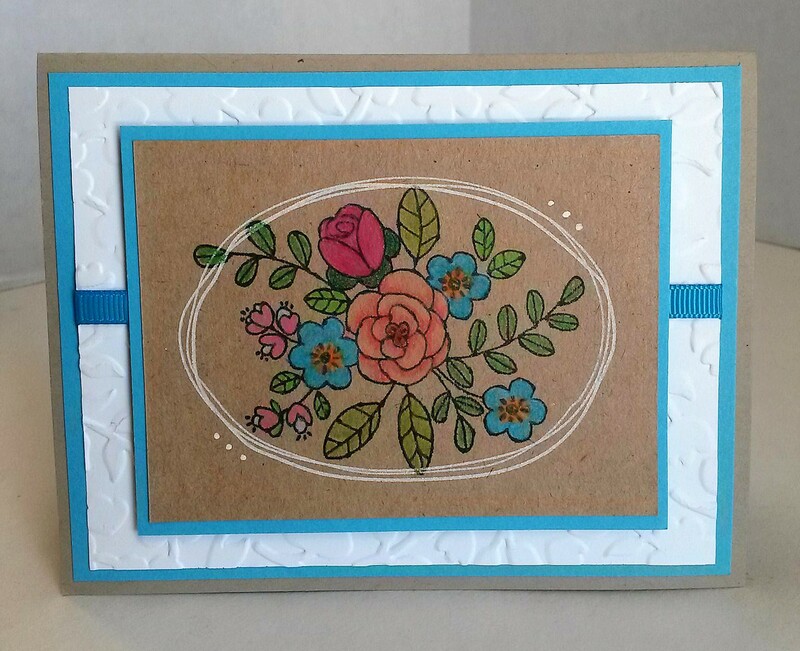 All of your cards are always so special and beautiful! this one is so sweet as well and anyone would be so happy to receive it! Thank you for sharing at Sweet Inspiration, have a lovely day! 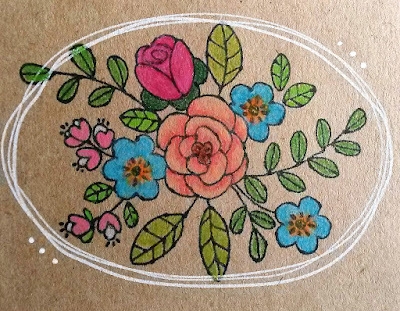 I do like the look of the colored pencils on the kraft. I will have to give it a try.